Introduction Considered by many, Europe?s best city, Vienna needs no introduction. Over the centuries, the city?s culture is representative of the highest standards of music, science and philosophy that has been produced in Europe. Modern Vienna is also a financial hub and this prosperous city boasts a talented population. Take part in KnowledgeHut?s Scaled Agile Framework Training in Vienna and gain important career credentials. About the Course KnowledgeHut?s Leading SAFe 4.5 Online Course is unique and impactful training program where you can learn about the multiple features and conditions of the Scaled Agile Framework (SAFe 4.5), a methodology that is used when projects and enterprises are embracing an Agile framework. During this workshop, our trainers will share their industry expertise and knowledge which will arm participants with the skills to carry out the role of the Certified SAFe 4.5 Agilist, responsible for guiding teams into a Lean-Agile landscape. The Scaled Agile Framework Certification in Vienna is a two day course where students will be familiarized with the different facets of SAFe 4.5 and also ensures a thorough preparation before the all important SAFe 4.5 certification exam. In the beginning of the Scaled Agile Framework Training in Vienna there will be an introduction to the Scaled Agile Framework and then our tutors will guide you through the fundamental Lean and Agile values. 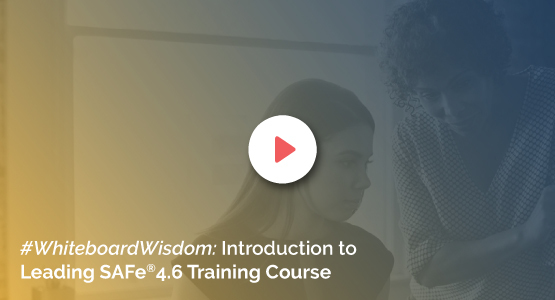 In this workshop, you will also be taught about the basic SAFe 4.5 principles and as the online classes carry on, lessons on implementing Agile Release Trains and PI Planning procedures will be delivered. In the second half of the e-learning program, you will be part of interactive sessions dedicated to executing and releasing value. In this KnowledgeHut training, participants will learn about building Agile portfolios and there will also be sessions on how to lead a Lean-Agile enterprise. The KnowledgeHut Advantage There are many benefits for signing up for the Scaled Agile Framework Certification in Vienna. Participants will learn how to track Agile implementation in an enterprise, identify necessary roles and structures for Agile implementation and they will be able to monitor the progress of scaled Agile. This instructor led online program will give you access to quality course material authored by the Scaled Academy and which also includes downloadable reference notes. The fee for the SAFe 4.5 exam is included in the price of the Leading SAFe 4.5 Certification Training in Vienna and you will also enjoy a one year membership with Scaled Agile. Choose this course if you are a QA/development /program manager, executive or change agent (coach). This interactive classroom training is an ideal fit for professionals involved in a SAFe 4.5 rollout.